With the launch of the 42-foot M42, it appears Morris Yachts is hoping to corner the market on the “big luxury daysailer” category. And if the success of the 36-foot M36 is any indication, Morris may be on to something. 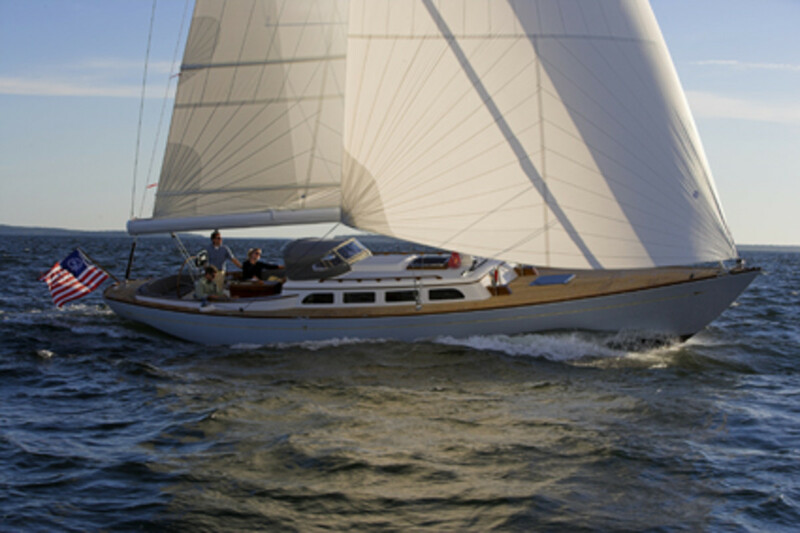 Like the 36, the 42 has easy sailhanding features, a self-tacking jib, and a painted carbon-fiber rig. It also has an elegantly simple, open accommodations plan, and the graceful overhangs drawn by Sparkman & Stephens translate into head-turning good looks. But the 42 is just a little bit more. While the 36 doesn’t provide standing headroom in the saloon (the extra coachroof and freeboard height would compromise aesthetics), the proportions of the 42 allow for 6-foot, 3-inch headroom in the saloon, plus more spacious living space, while preserving its distinctive classic look. It also has better speed potential that extra waterline length provides. The M42 is more than just a daysailer; it’s a coastal cruiser that’s sure to garner compliments in every new anchorage you visit. For more information, visit Morris Yachts.